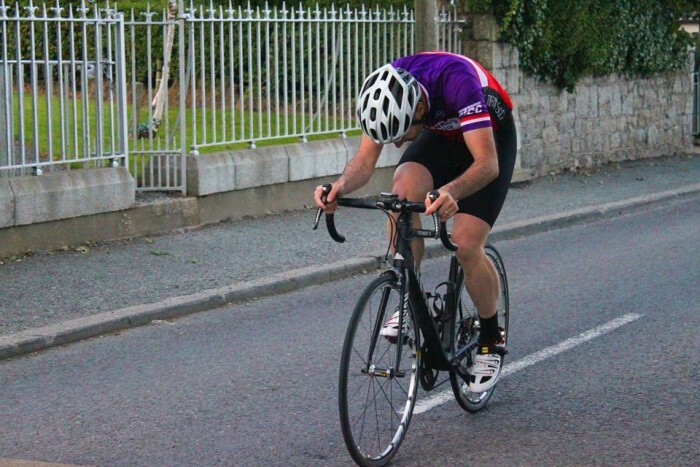 JAMES QUINN primed himself to represent St. Tiernan’s in Sunday’s Friends First Laragh Classic with victory in the ParcelZone Ice Cream Hill Climb on Friday night. The course took the riders up from Kilternan to Glencullen, a short pedal away from reward at the Ice Cream Van – and hot whiskeys in Johnnie Foxes. Alan Cody took victory in 2014 with a time of 6m39s, but that wasn’t good enough this year with winner James Quinn powering up in 6m35s – an improvement 5s shy of one minute on his 2014 performance! Lawrence Clifford, ‘fresh’ after sitting in a car for 2,150km as Race Around Ireland Team support, shocked all-comers, taking second in the time that won last year’s TT – 1m10s faster than he rode in 2014. Next home was racing manager Richie Gallagher in 6m42s, with Mario Boll and Barry Walsh the only other riders getting under 7m. The 500m Children’s TT had 10 talented entrants, resulting in 1m covering first to 5th. Ethan Duffy was the winner in 1m32s, chased home by Grace Heffernan in 1m50s and Alex Hayden in 2m27s. Full times below. 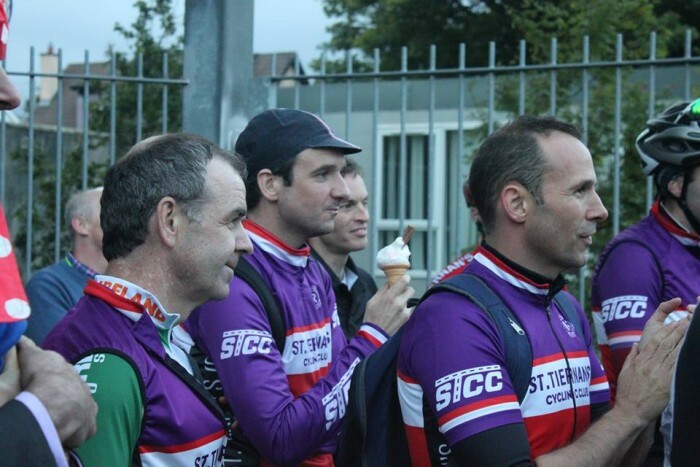 No Replies to "Ice Cream win primes Quinn for Laragh Classic"